Drag is when your fly is pulled unnaturally through a current or on the surface of the water. A natural or drag-free drift mimics what natural river currents would do to a real aquatic insect floating down the stream and trout easily notice an unnatural drift. 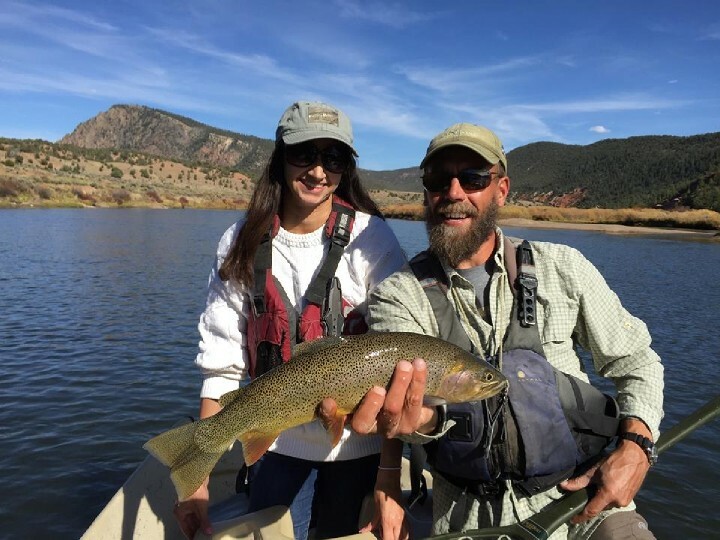 Ideally, your dry fly or nymph should drift as if it was not attached to anything. Essentially any friction caused from the water’s pull on your fly line, leader, indicator, tippet, weight, knot or fly will cause drag. Most new fisherman recognize drag when their indicator or dry fly skate quickly across the current but even slow, conflicting currents can react to any or all of the terminal tackle mentioned above causing subtle, hard to recognize drag. The “Drag Free Presentation” is thus a retrieve or drift of a fly when either dry fly fishing or nymph fishing without any pulling or unnatural movement of your fly. Pulling on the fly causing a bad drift will alert trout and may shut down their feeding rhythm. Recognizing drag can be the most important factor in determining whether you catch fish or not when out on the river. Don’t be a drag! The best way to eliminate drag and to achieve a drag free presentation is to mend your line. Mending is using your fly rod to lift the fly line up and out of the water. The goal is to reposition it, typically upstream but almost always the reverse of what the current is doing. This keep your fly drifting naturally and prevents unnatural drifts that move faster than the current or across the current. Mends can be done while casting or while your flies are drifting. Learning to mend in the air and on the water are keys to a drag free presentation. 2) How Many Times per Cast Should I Mend? The short answer is as many times as is necessary to achieve a long drag-free drift. Mending too much is usually not a problem but you can mend too aggressively which can move your fly unnaturally. Some anglers only begin to mend after their fly or indicator begins to drag when it is already too late. It is best to set up a long drift with an immediate mend rather than waiting and then adding short mends throughout your drift. One of the most simple and effective ways to mend is by extending your arm and raising the rod tip to pick up the line or reposition the line itself. Most new fly fishermen tend to think the fly line must be on the water in order to catch fish but less line on the water will often result in less drag. Lifting your rod and arm makes it easier to lift line off the water while mending. “High Sticking” is fishing with no fly line at all on the water. This allows the fly to drift completely drag free with the current. It can only be done when anglers wade within a rod’s length of fish. Stack mending is simply adding a small amount of extra fly line or leader above your fly or indicator after the cast but before the fly begins to drift. The Stack, is accomplished by using you rod tip to feed out some additional fly line allowing for a longer drift. Reach mending takes place in the air as you cast. Mending the fly line in the air can be the most effective way set up a good drift before your fly hits the water surface. Make reach mending a habit and practice a reach mend cast to the left or right depending on current direction every cast. To reach mend cast just make your normal casting stroke and as you release the line from the rod tip, tilt the rod to extend it slightly upstream. Learn to adjust the amount of reach you have by extending your rod tip further or less. 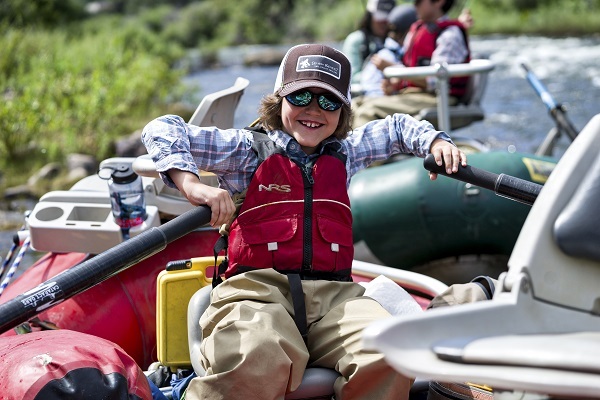 Reach mending is especially effective while float fishing. Shock mending can be accomplished by slightly overpowering your cast and pulling back with your line hand on the line prior to the line hitting the water. This causes the fly to want to ricochet back towards the fly caster creating coils of slack and less drag. This is the cast and mend to use when you need to get your fly behind a rock and works especially well when using dry flies with droppers. Where you position yourself prior to your presentation is extremely important. Sometimes you need to read the water and fish and position yourself where you eliminate drag caused by stream currents. Trout in very clear high-pressure streams like the Taylor and Frying Pan Rivers will not accept the slightest drag. Lighter fly line, leader, tippet and a smaller indicator or none at all can help to eliminate drag but sometimes you will need to approach from upstream. Recently on the Missouri River in Craig, Montana drifting flies downstream to feeding fish was the only presentation that worked. During a cloudy afternoon a thick BWO hatch had large fish feeding on the surface. In slow water and conflicting currents, after several refusals due to microdrag during conventional cast and mend presentations, I made the switch to wading upstream of feeding fish and drifting my fly directly downstream to them. Having a few specialty casts can help any fly angler get better drag free presentations. Two of my favorites are the Wiggle or S Cast and the Parachute, Plop or Steeple Cast. To perform the Wiggle Cast just move your rod had from left to right slightly and your forecast. This will set up curves in your line as it extends towards your target. The more you move the rod tip the wider curves you create. Your line should look like an S. To perform the multi-named Parachute Cast lift your rod straight up rather than back and aim as high as you can on the forecast and watch the line pile on itself near your target, again creating slack and a drag-free drift. Best of luck practicing these techniques to achieve better and more drag free presentations. They will help you to catch more fish. 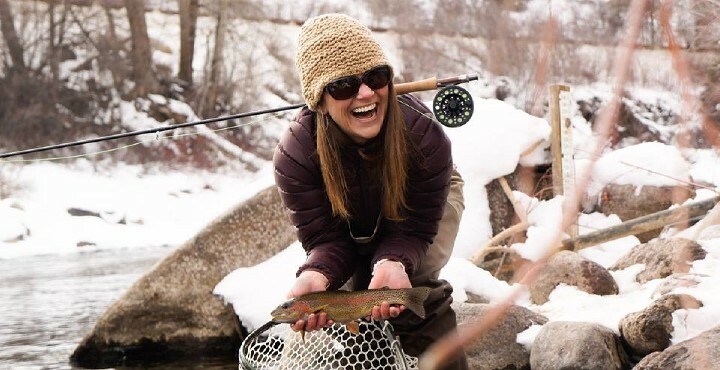 To learn more about mending, casting and catching more trout try a guided fly fishing trip with Vail Valley Anglers.